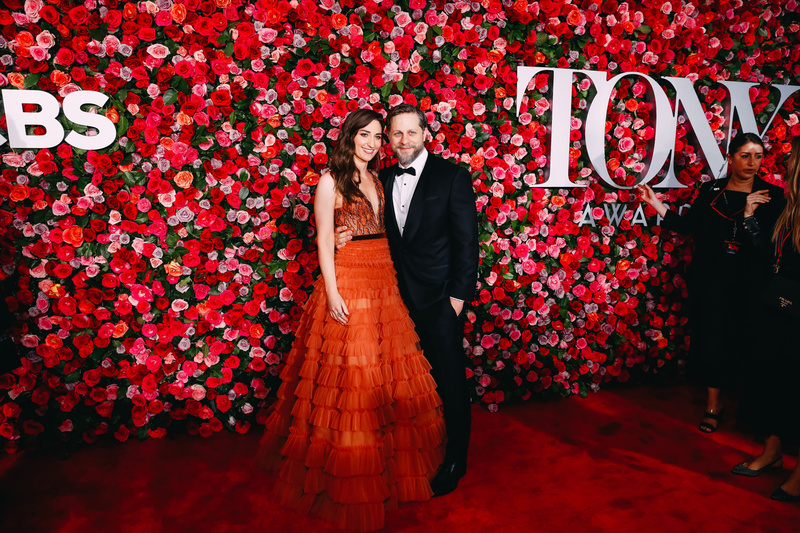 While we may be currently waiting to find out who takes home a trophy for the 72nd Tony Awards, we have to give a special moment to all of the incredible fashion we saw on the red carpet. It's no secret that Broadway stars know how to stand in the spotlight, and tonight they were able to show the world. We've rounded up the top 10 best-dressed stars who are wearing the most jaw-dropping outfits. From Lauren Ridloff to Grey Henson, you're not going to want to miss this roundup. 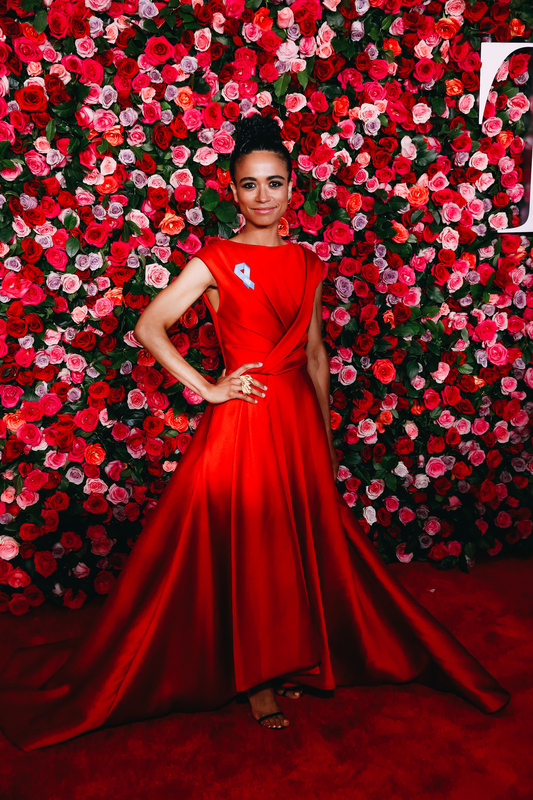 Children of a Lesser God star Lauren Ridloff wears Jason Wu. She is honestly one of our favorite looks of the night. The intricate structured top paired with the loose semi high-low skirt is a beautiful combination that we are seriously crushing on. 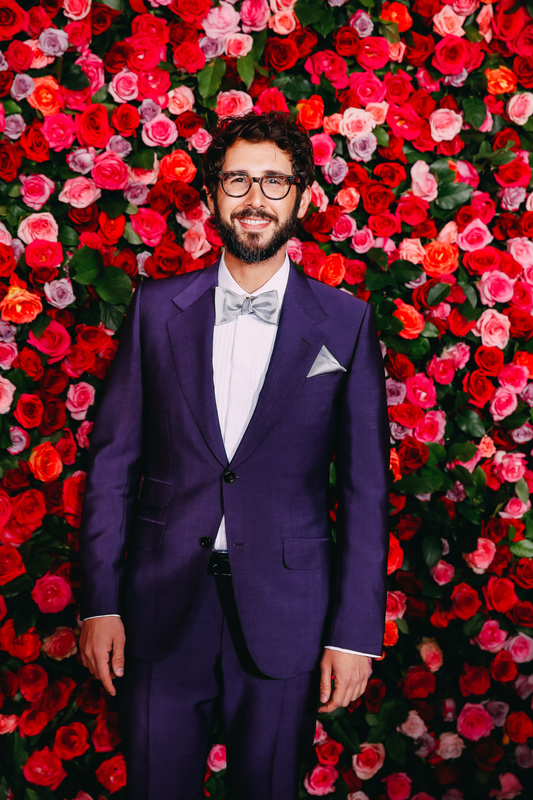 Josh Groban looks dashing in a purple suit with silver accents. We love that the host was willing to go outside of the box in his clothing choice and it definitely paid off. We know that this will be only be one of several outfit changes of the night and it sets the bar high. Host Sara Bareilles and her boyfriend, former Waitress star Joe Tippett. The dress, designed by J Mendel, has a tiered tulle skirt that is absolutely breathtaking. We love the unique burnt orange color and how it is paired with black sequins. We can't wait to see what other outfits she wears the rest of the night! 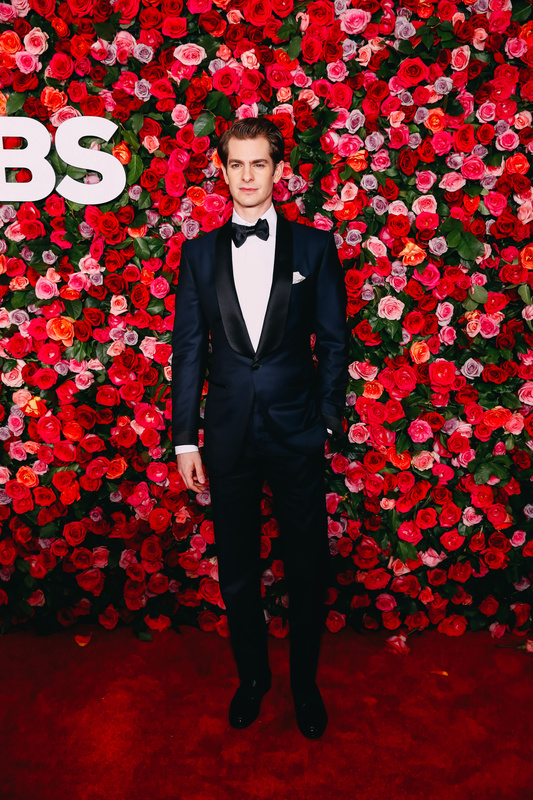 Angels in America star Andrew Garfield looks smart in a sleek dark navy blue suit. 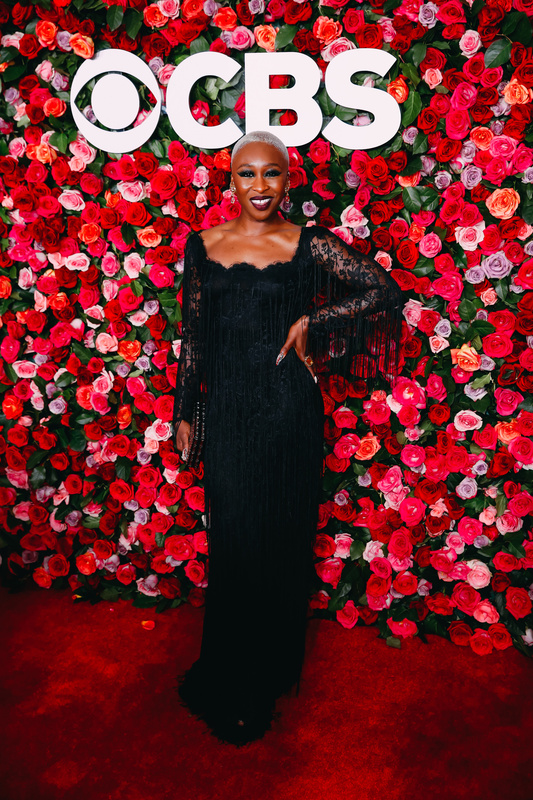 Tony winner Cynthia Erivo stuns wearing a black flapper-style dress complete with lace sleeves. The dress is both fun and chic and really shows off her personality. 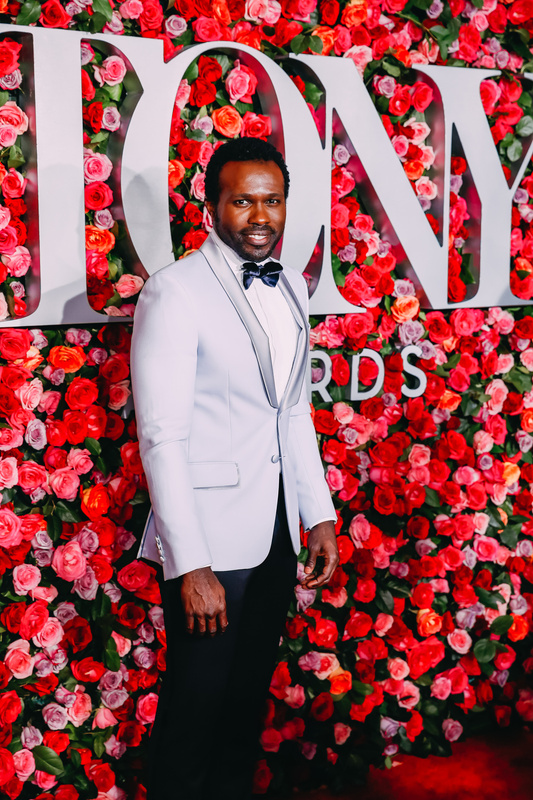 Carousel star Joshua Henry wows us all with a powdered blue suit that stands out against the rest. Mean Girls standout Ashley Park shows up sporting the whole color range of purple. 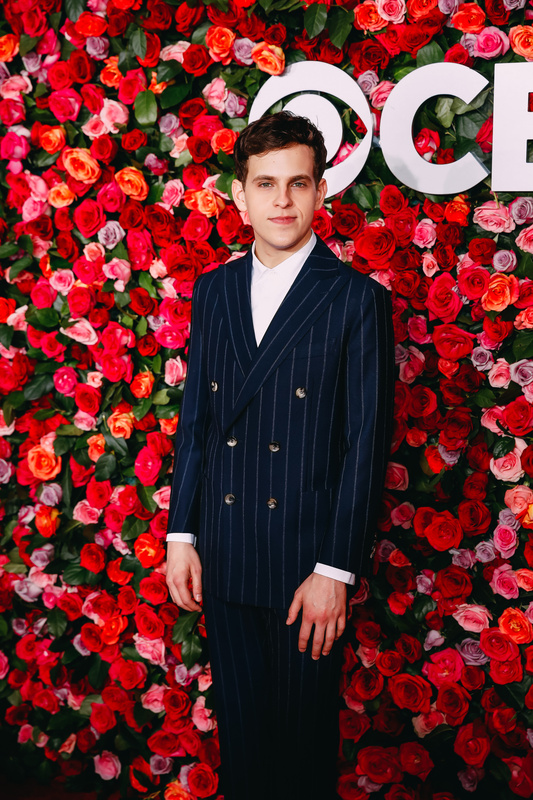 Dear Evan Hansen's Taylor Trensch channels his inner Evan by wearing a pin-stripped suit. Saint Joan star Condola Rashad is stunning in red and is giving Ti Moune from Once On This Island a run for her money. 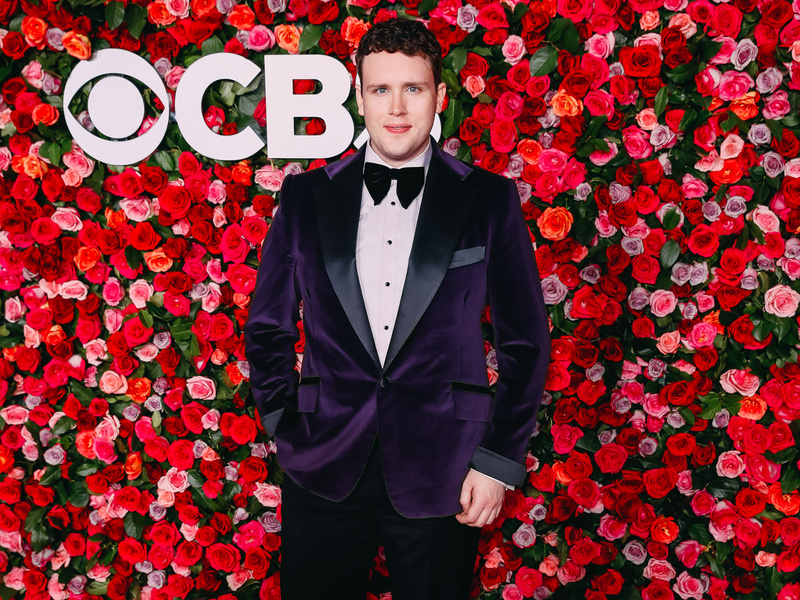 Mean Girls standout Grey Henson proves where he belongs by sporting a purple velvet jacket.